Cauldwell Wingate is a member of USGBC. We have LEED Accredited Professionals on our team who are on several of our recent LEED projects including Thurgood Marshall U.S. Courthouse, Columbia University McVickar Hall, Poets House, COFRA, and LearningSpring School. Please see below for brief descriptions: Thurgood Marshall U.S. 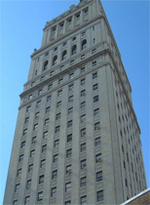 Courthouse - Cauldwell Wingate is the construction manager for the major infrastructure upgrades at a NYC downtown landmark which consists of a 6-story base in addition to a 26-story tower. Working with the GSA on three critical phases of bulk demolition, material abatement; exterior renovation; followed by mechanical, electrical, and plumbing installation. Final phase includes interior construction and MEP infrastructure upgrades. Entire project includes sustainable or "green" elements of a rain water harvest tank, a possible green room, recycling program and reuse of existing finishes. This current project will achieve a certified rating. Columbia University McVickar Hall - Cauldwell Wingate was the construction manager for the 52,000 sq. ft. gut rehabilitation project of an historic, 80-year-old building on the Columbia University campus. Scope of work includes all new building systems, façade work and historical restoration, new windows and a new roof as well as interior gut renovations. The project features sustainable elements and Columbia is pursuing Leadership in Energy and Environmental Design (LEED) Silver certification. Poets House - We are providing the pre-construction and construction services of the 11,000 sq. 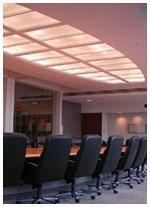 ft. build-out of new core and shell with new auditorium at Battery Park City. Working with the Louise Braverman Architect team in executing this LEED CI GOLD project with NYCDDC funding, LBE. COFRA- Cauldwell Wingate provided construction services for a complete gut renovation to the 29th floor at building 277 Park Avenue. The scope of work includes offices for several user groups with two reception areas and several conference rooms as well as two pantries. Inclusive are the restrooms to be renovated and the interior offices will utilize green building products. Some of the key elements are the use of glass and daylight harvesting systems to create the maximum usage of natural light. The key design features will be Stone and FSA (Forest Stewardship Association) woods. This project is Gold LEED certified. LearningSpring School - The Simons Foundation engaged Cauldwell Wingate as Construction and Program Manager for the pre-construction and construction of a 35,000 sq. ft, $26 million eight-story building for the LearningSpring School, a school founded for children diagnosed on the autism spectrum. The project is pursuing LEED (Leadership in Energy and Environmental Design) certification as a “green” building. Cavanagh/Stewart International, Inc. is providing dedicated Construction Management services as agent for Liquidnet Holdings, Inc. (Liquidnet) for their corporate office interior fit-out project in Midtown Manhattan. This three-phase project consists of 55,000 square feet of renovations on two floors and includes new offices, conference rooms, pantry and lounge areas, office cubicles, inter-floor stair and state-of-the-art Trading Desks, Information Technology (IT) and Quality Assurance (QA) Server rooms as well as a QA Lab. Phase two includes an approximately 40,000 square foot interior fit-out. Cavanagh/Stewart’s duties include budgeting and value engineering recommendations, bid, award and coordinate trade construction and site-specific logistics planning. Special challenges included coordination of overhead MEP work to maximize ceiling heights and reinforcement of a deteriorated existing slab with new steel, metal deck and poured concrete. Cauldwell Wingate Company was engaged by New York University Hospitals to provide construction management services for their new ambulatory cancer care facility. This project consisted of 13 floors, including two which were below grade, in a new building being constructed in midtown Manhattan. 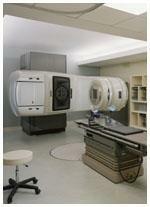 This cancer care facility housed a radiation therapy unit with linear accelerators, a simulator room, exam rooms, doctors' offices, infusion suites, pharmacy, laboratory conference areas and patient waiting areas. Cauldwell Wingate was engaged as the Construction Manager for this project. Its role involved a comprehensive pre-con exercise, which included numerous budgetary and value engineering rounds. The project team successfully completed contract documents meeting the budget expectations of the Bank. The project was most memorable because of the complication of an aggressive tenant build-out construction schedule in a newly constructed building where core and shell work was not yet completed. The impact on the project was that the tenant and core work labor shared access through lobbies, hoists and freight elevators. In addition, the landlord’s labor was still engaged on the floors while the tenant work was going on. The success of the project was measured by the strict adherence to the schedule despite these impediments. 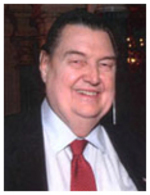 Cauldwell Wingate was engaged by New York University as the Construction Manager for major renovations to the Law School building on Washington Square South. There were four major areas of work: 1)The MEPS Program: The MEPS Program required the complete demolition and removal of most air handling units within the 5 story building. New roof top units were installed and encased in cooper clad enclosures to match the existing cooper mansard roof. In addition to the BMS controls, new VAV boxes and riser work was completed to effect a totally new mechanical infrastructure. 2)Corridor: Corridor work included the removal of existing sheet rock ceilings and the installation of a new pocketed ceiling design with pendent lighting. Private offices were renovated receiving all new air distribution, lighting and finishes. 3) Core Bathrooms: Core bathrooms were upgraded to ADA compliance and new finishes. 4) Library Renovation: The Library renovation included new overhead lighting and ceiling details, the installation of a passenger lift, and the creation of a new lobby with new millwork and finishes. The entire construction scope was completed within a 10-week summer recess schedule. Cauldwell Wingate was engaged as the construction manager for the creation of this new BMW showroom, maintenance facility and office building for one of the premier automotive dealerships in the United States. It was also engaged to assist with full pre-construction services, which included budgeting, scheduling, constructability reviews, value engineering and document coordination reviews. This multi-phase project consisted of four major components: 1) a 42,000 sq. 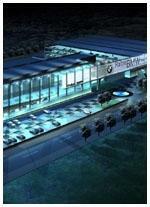 ft. 52-bay, state-of-the-art automobile service center; 2) a 72,000 sq. ft., three-story high-end architectural and mechanical showroom/office facility; 3) a 140,000 sq. ft., three-story above grade pre-caste parking structure; and 4) a landscaping program which included a storm water drainage system and irrigation system with retaining walls.